A wedding is the uniting of two people in a ceremony. It is the time where the man and woman decide to spend the rest of their lives together, usually celebrated with the exchanging of vows and wearing of rings. It is no doubt the most memorable time for the couple, so it takes a lot of preparation to achieve certain wedding goals. The giveaways, the flowers, and the wedding invitations must be prepared ahead of time. As the planning of the wedding starts, so does the stress. 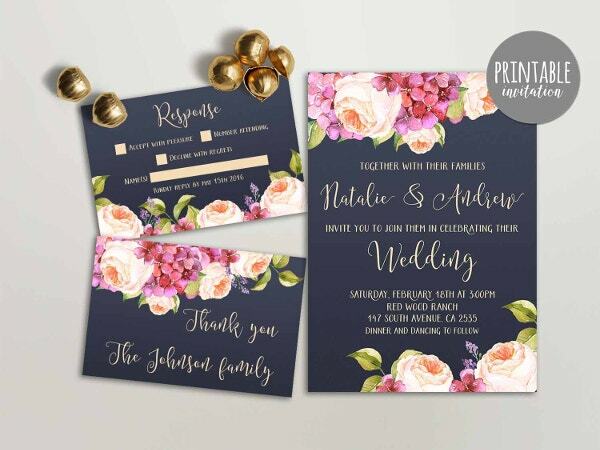 To give you a little breath of fresh air, we have here some wedding invitation templates that can save you the time of trying to find the exact type of invitations you are thinking of. The templates we offer are in easy-to-modify PSD, AI, Vector, and EPS formats so all you need to do is to change the details within them. Remember, our templates are available to download for free or licensed for modest price. And since these templates were created by professional, talented graphic designers, you get what you pay for. Coupon Wedding Invitation. Are you the hip type of couple with a humor? 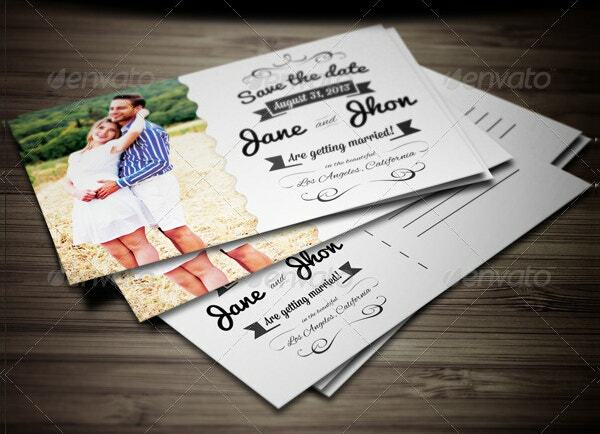 Why not make your wedding invitations as coupon cards. It will not only make your guests laugh at the idea, but it can also make you a memorable couple. Vintage Wedding Invitation. Are both or you a lover of anything vintage? Vintage cars and vintage clothes? 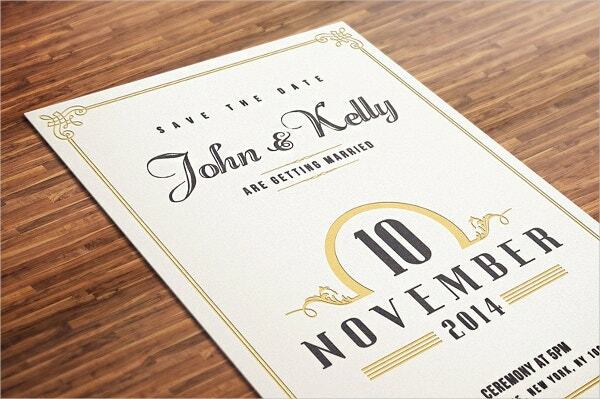 Well, this vintage design would probably be the best type of invitation for your wedding. It not only speaks for the couple’s love for the style but it is also a beautiful way to accent your whole wedding. 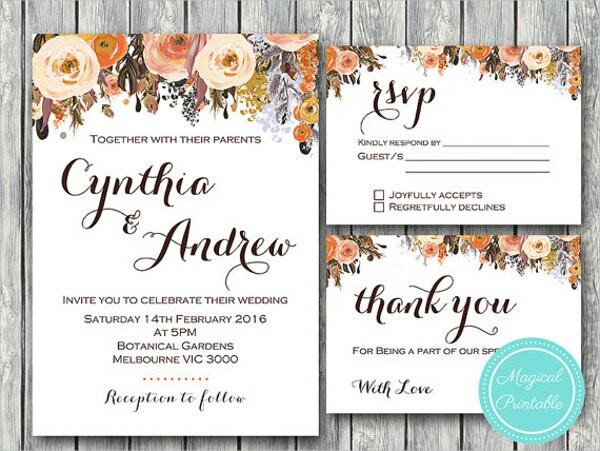 Floral Wedding Invitation. Lover of flowers? 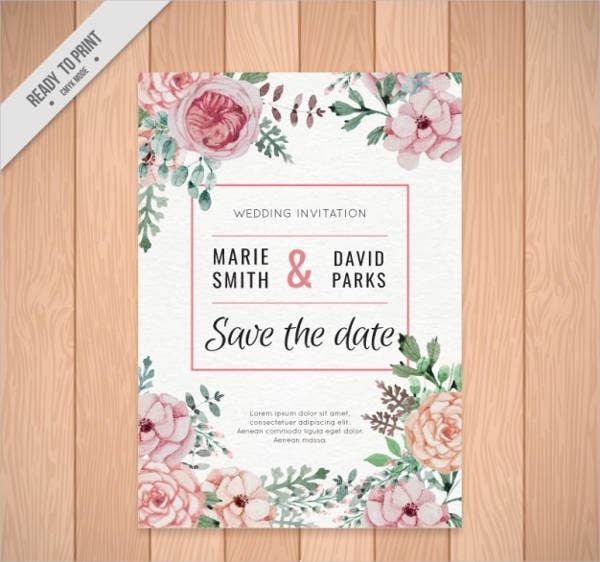 Well, you’re in luck because we have the Floral Wedding Invitation design. You can never go wrong with floral designs. They are not only stylish to look at, they also scream elegance, sophistication, and beauty. 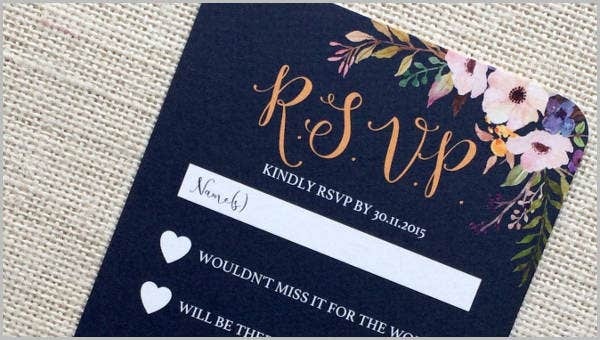 Modern Wedding Invitation. 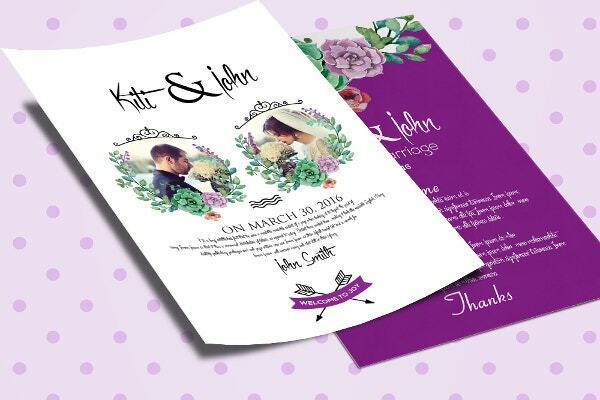 It’s the twenty-first century, and what better way to embrace the trend but with a Modern design wedding invitation. 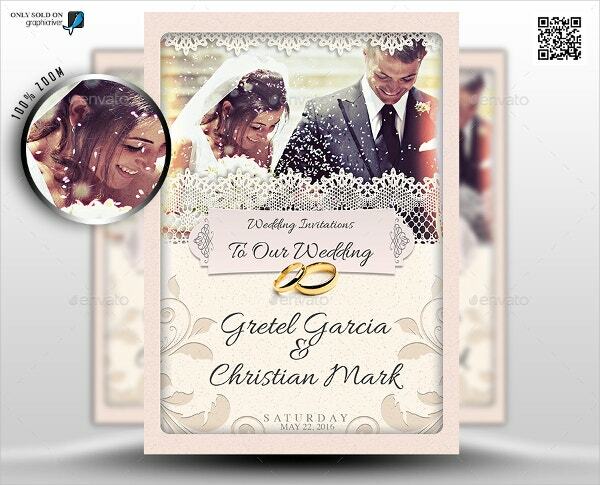 It’s the time that screams personalized and what could possibly scream personalized more than having both you and your partner’s face on the invitation itself. Elegant Wedding Invitation. You’ve put so much work into your day—the wedding gown, the banquet of food, and the silverware—how about polishing it up more with our elegant wedding invitation templates? It is simple yet stylish. You don’t need to put too many sweet nothings to it because the design speaks so much for itself. Indian Wedding Invitation. Indian weddings depend solely on culture and tradition of the family, but one thing for sure is the same for all kinds of Indian weddings—the majestic use of vibrant colors. Fall Wedding Invitation. Isn’t fall just beautiful? The earthy-colored leaves, the cool, not too cold, breeze, they’re all just lovely. A slew of reds and browns, as it is beautifully decorated with flowers and leaves, greet your guests and loved ones with this template. Blank Wedding Invitation. Scrolled down but still haven’t found the one? 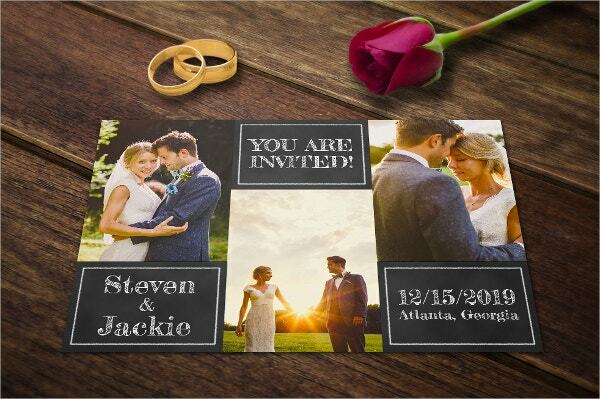 To save you the hassle, we have also provided blank wedding invitations for you to customize yourself. Also try our selection of wedding thank you cards to say your thanks to the people who shared this special memory with you! So have you wiped the proverbial sweat off your forehead already? 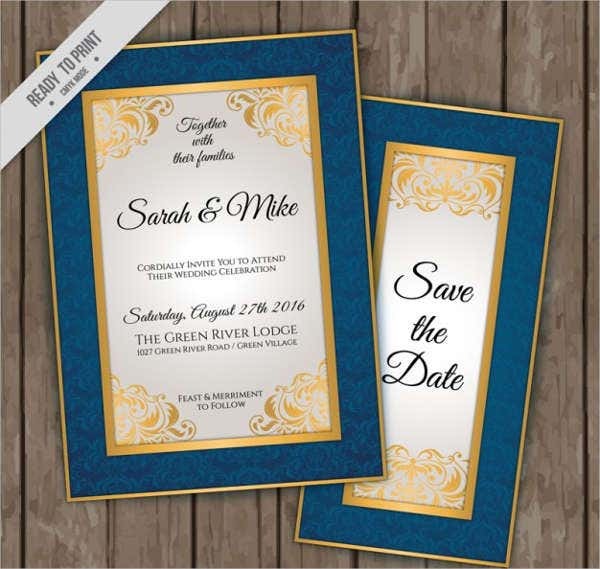 You can surely paint a big smile on your face knowing that you have prepared, with your heart and soul, your special day with the help of our wedding party invitation templates as you walk down that aisle to be finally married to the love of your life.